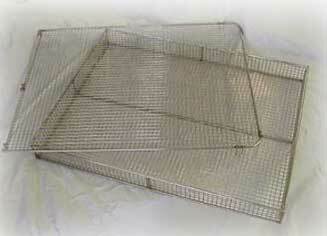 Inline Cleaning Stainless Baskets - EnviroSense, Inc.
Inline stainless baskets. A perfect basket for cleaning small and large PC boards in an inline cleaning system unit. 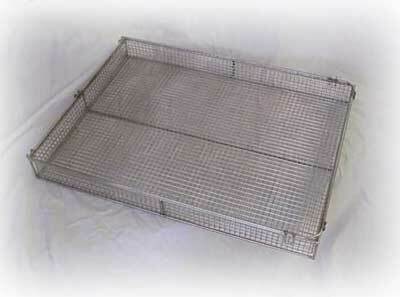 Baskets are constructed with 3/16" diameter rod with #3 mesh. Baskets come with a removable lid.